The Division of Infectious Diseases of the David Geffen School of Medicine at UCLA is pleased to offer its Postdoctoral Fellowship Training Program in Global HIV Prevention Research as a way to prepare physician, social, behavioral, and professional scientists for academic research careers focused on understanding and preventing HIV disease globally. The program is funded by the U.S. National Institutes of Health (NIH) through a T32 mechanism, and supports 2 new fellows each year–one a physician specializing in adult or pediatric infectious diseases, and one a social/behavioral scientist or a graduate with a doctoral degree from a relevant professional field (such as psychology, public health, public policy, sociology, anthropology, biological sciences, etc). The fellowship lasts 3 years, and a successful graduate of the training program will have secured a master’s degree (or completed equivalent work); completed at least one major HIV prevention research project in a developing country; participated in other research projects; made a research presentation in at least one major scientific conference; published as a first author in leading scientific journals; and received a multiyear grant related to HIV prevention in the developing world to take into a first faculty position. Academic training will focus on the completion of a master’s degree in public health, public policy, or clinical research from UCLA (or completion of equivalent work). 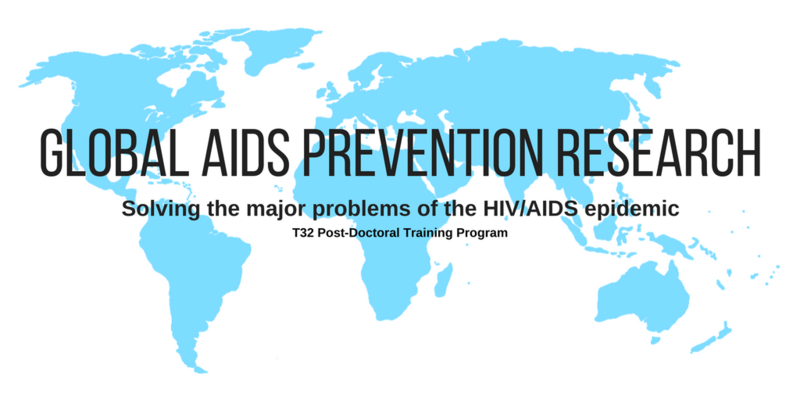 The program focuses on the integration of training activities for both MD and PhD trainees, fostering training in biobehavioral approaches to solve the major problems that preclude halting the HIV/AIDS epidemic. All physician trainees receive rigorous behavioral science training and all PhD trainees are provided training in the use of biomarkers and conducting research with clinical context and relevance.